Beat cream cheese, butter and sugar until light and creamy. Add essence and pineapple syrup to mix. Beat in eggs one at a time, beating well after each addition. 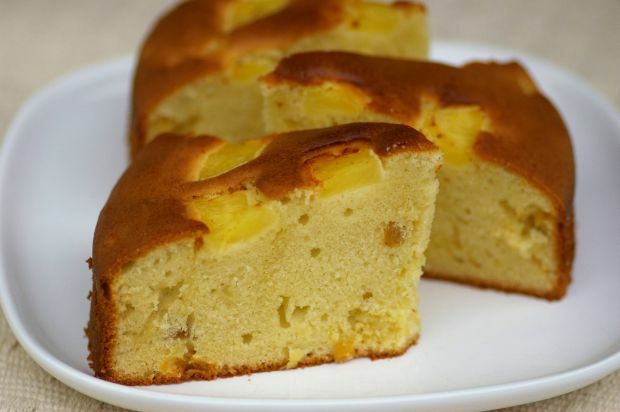 Sift in flour, baking powder and bicarbonate of soda and stir in pineapple and raisins. Stir gently to combine. Turn batter into prepared pan and bake for 45-50 minutes or until cake is cooked through. Leave the cake to stand in the pan for 5-10 minutes before turning out onto a wire rack to cool completely.